Many of us have a tendency to get wrapped up in the “busy-ness” of our own lives, at the expense of our emotional or mental health. Loneliness and depression are common side effects of not making time to connect to others. One of the most effective paths to boosting our own mood is to reach out to someone else. Certainly, calling on a good friend or family member can help you feel re-connected. But, sometimes, an interaction with a complete stranger can not only make you feel happier and more connected, but also make an enormous difference in their lives. Whether it’s a monumental gesture, or a small one, a planned effort or just being in the right place at the right time, random acts of kindness can be a wonderful way to start a ripple effect of compassion and happiness. Here are 10 examples of random gestures that changed the trajectory of someone’s day… or life! In 2005, Hurricane Katrina devastated New Orleans, leaving almost 2,000 people dead and millions homeless. Many organizations around the world offered assistance, but one donation was particularly of note. From the the Kireka slum in Uganda came $900. A modest sum of money in the grand scheme, but considering the source, it was monumental. The women who sent the money were impoverished refugees who were living in hand made shacks and earning about $1.20 a day pounding rocks. Most of them were afflicted with HIV. It took the women weeks to earn the money, but, for many of them, the joy they felt in being able to assist was worth it. Natural disasters seem to often be the wake-up call that causes people to realize how much we need each other. Hurricane Sandy devastated the East Coast, leaving thousands of residents homeless and millions without power. New Yorkers, not always known for their compassion, were quick to assist each other in any way possible. The city became a haven for random acts of kindness. A doctor offered free medical services to patients in need, a taco restaurant set up stands to give out free food, another restaurant delivered ice to other businesses so they could stay open, a family left outlets on their gate for passerbys who needed to recharge their devices, even Senator Cory Booker offered his home to a neighbor in need. Lynn Ferguson was tired of the practice of “dibs,” placing furniture in a freshly cleared parking spot to prevent others from parking there. She noticed that the city was having difficulty keeping up with the numerous storms and many elderly residents were struggling to shovel their cars out. So, she took an entire day off of work (at a homeless shelter) to dig out her neighborhood. A Sun-Times article highlighted her good deed, prompting other residents to take to social media and pledge to do similar acts of kindness. Not every act of kindness requires money or hard work. Some just take a good imagination and a big heart. In 2007, Freddie Wieczorek retired to Florida after a career in the German Navy. To keep from growing restless, he took a part time job as a bag checker in Disney World. When children in costume would wait in his line, Wieczorek would ask them to sign his autograph book. While the kids are delighted by the attention, Wieczorek may get even more pleasure from the exchanges. While most of us can enjoy the emotional high of helping others from time to time, there are a very small group of people in the world who base their entire lives on doing random acts of kindness. 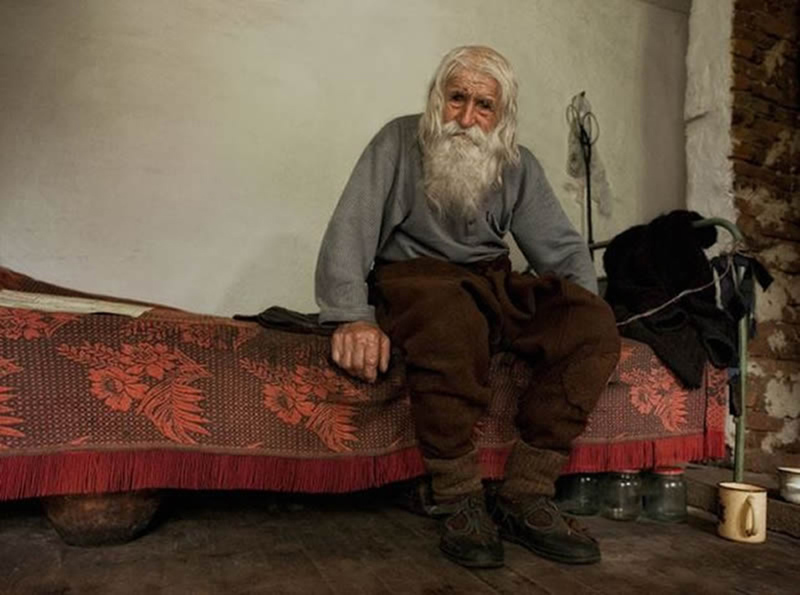 One such person is Dobri Dimitrov Dobrev, better known as Grandpa Dobri. Grandpa Dobri, who just passed away this past February at 103 years old, was a Bulgarian ascetic who walked 12 miles a day to the Cathedral of Alexander Nevsky in Sofia to beg. He donated all the money he collected to charities, orphanages, churches, and monasteries, raising over 24,700 dollars by the end of his life. Dozens of priests and hundreds of laymen gathered at his funeral to praise him for his compassion and selflessness. While Grandpa Dobri died a poor man, the kindness that he exhibited in his life will continue to spread out ripple waves of goodness… which is of far greater value than any monetary legacy.